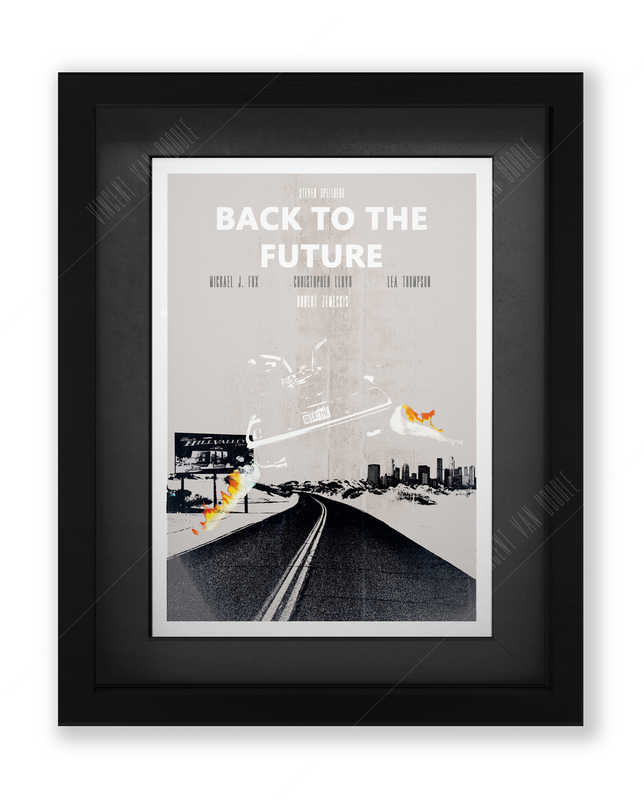 Out Back To The Future movie poster design is available in A4, A3 or A1, framed or unframed. We think it looks amazing in White with a light grey mount but let us know exactly what you’d like. 1.21 Gigawatts of effort went into this badboy. Who can name a more iconic trilogy of films from the 80s other than Back To The Future? The story of Doc, Marty Mcfly and the Delorean is one that continues to this day to remain a timeless classic. Inspired by hoverboards, history, and the predicted sheer volume of Jaws films (check out our movie poster), while the film may have gotten much wrong about the state of the future, it remains iconic to this day. We have created a Back To The Future Movie Poster to represent everything people love about the movies. Our Back to the Future Movie Poster was one of the first of this entire collection. Once we decided we were going to reinvent a load of 80s Movie Covers, Back to the Future leapt to the top of the list pretty quickly. 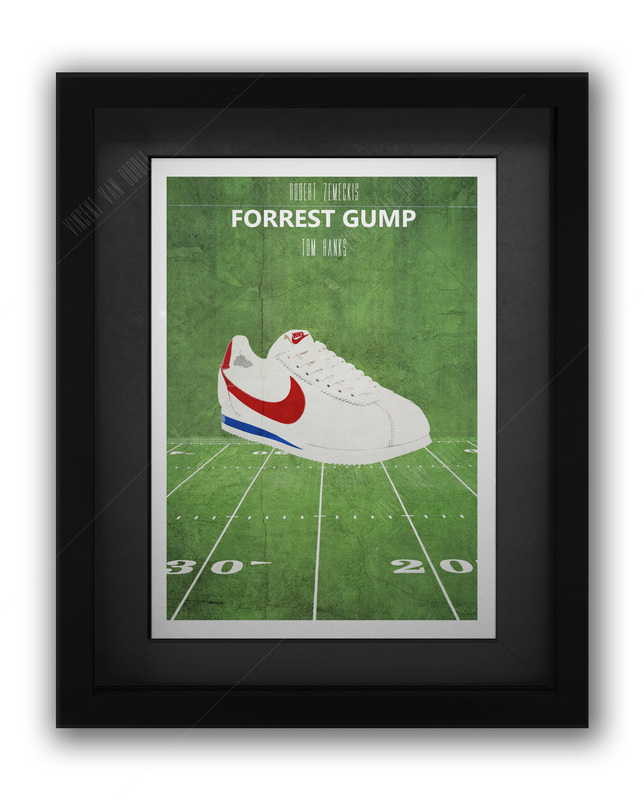 What Movie exemplifies the 80s more than this? How many Pop Culture references can you get from one Franchise? That was a huge question for us when we first set ink to paper. Do we look at Doc, Marty or the Delorean? Should we include Biff, Mcflyyyyyyy or just keep it simple? After much deliberation and watching of all three in the series, it was pretty unanimously decided that we’d stick with the car, the fire and that awesome numberplate, spanning all three movies so well. The Layered Graphics stack great in Black and White with an off-grey, giving the streaks of fire a huge lift adding a lovely splash of colour. We’ve recently paired this with a double neon mount, so look out for that on our Instagram page. Vincent Van Doodle are movie and art lovers, so what better way that to blend the two into one? 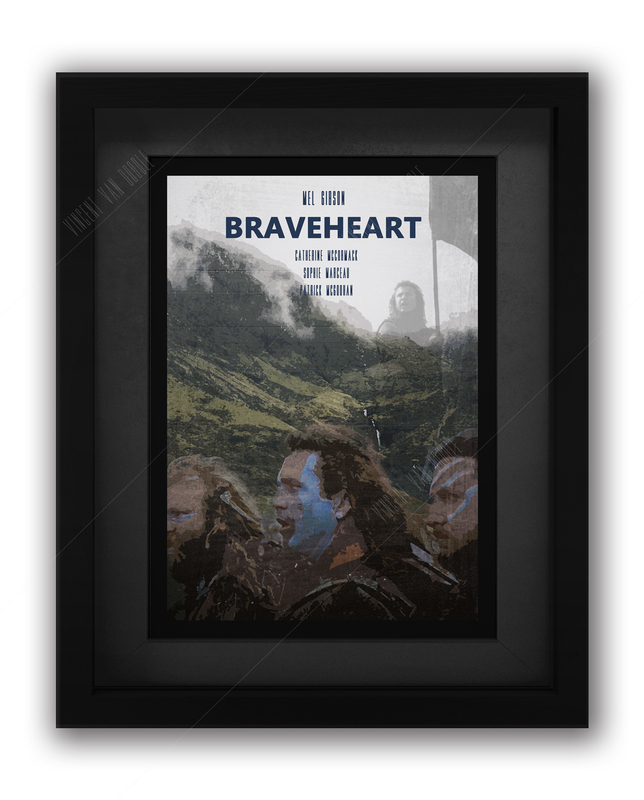 All our Movie Posters are inspired by decades worth of films from the silver screen, which was a lot about us. 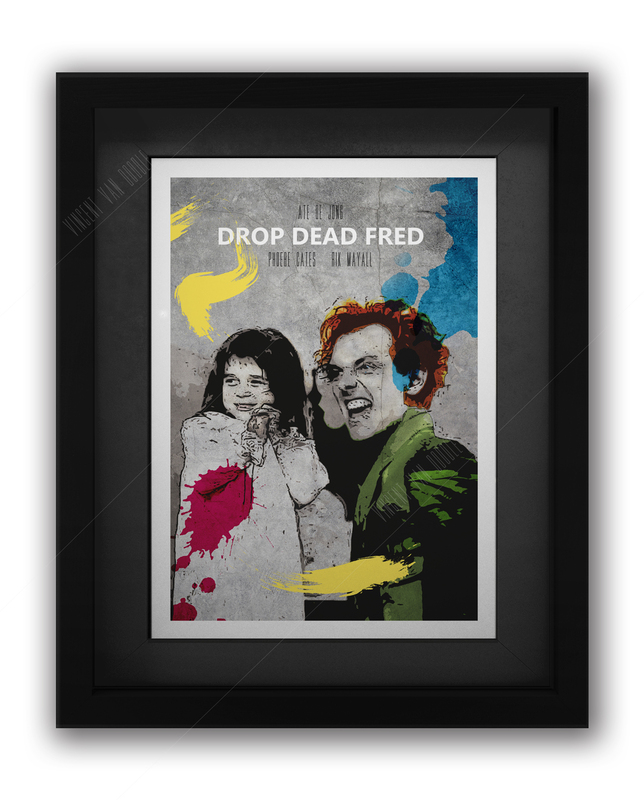 Fancy seeing us design a poster based on your favourite movie? Contact us to see what we can do for you, or keep up to date with our blog to check out our latest designs. An independent Birmingham art store, we want the whole nation to witness and have affordable art of their favourite pop and cult culture icons. With a range of art pieces from Musician Mugshots, amazing typography Card Art and Peaky Blinders inspired designs. 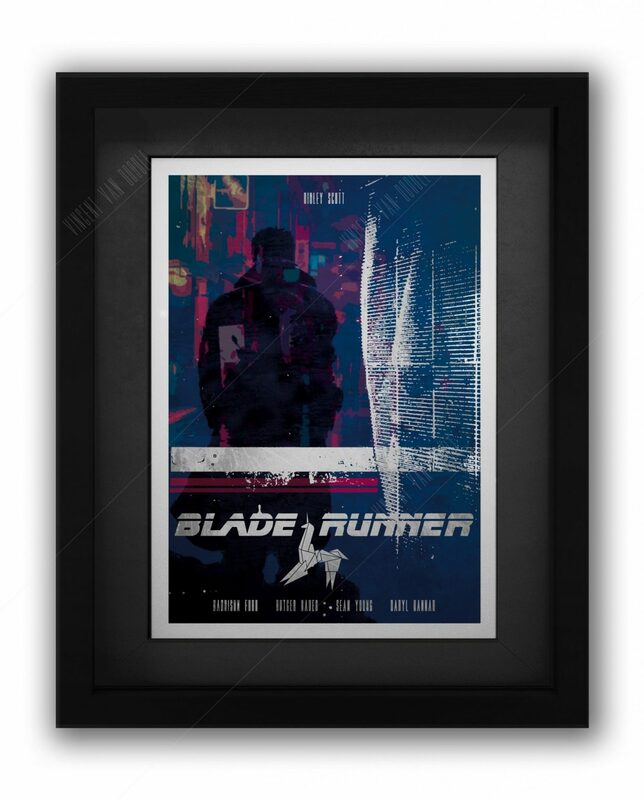 As well as this we have over 60 Movie Poster designs for you to browse through.